I may be the first to say this but, I think Mark Tornillo is a better frontman than Udo. ( nothing against him of course). This album solidifies that for me. 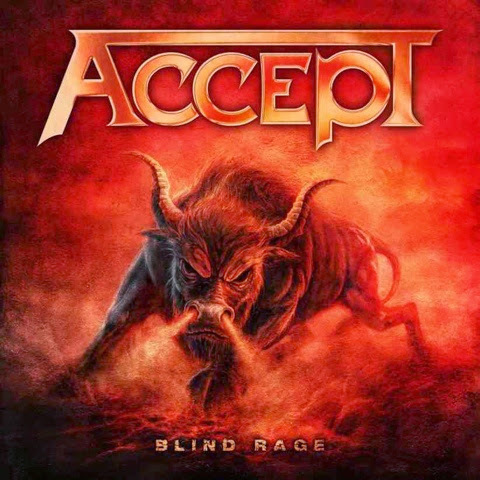 It's good to see that even on the fourteenth album, Accept can still put out quality records. It opens with the balls out single "Stampede". Track two however ("Dying Breed") is one of those praise metal, let's name drop every classic band/song we know. It has a good sound but gets annoying real quick. It picks back up with "Dark Side Of My Heart". Track six "Wanna Be Free" is the lowest point on the album. There's a good message of let's achieve peace to it but the lyrics get cheesy to a point of making it unbearable. Given, it's a traditional metal album so the lyrics aren't expected to stand out and unfortunately they don't. However, there's not much originality here and some songs do start to blend together. At just over an hour long, it would've greatly benefited to shave off a couple of tracks because it does feel like it drags on a little too long. Despite the bad things here, it's still a fun, exciting album. "Dark Side Of My Heart"